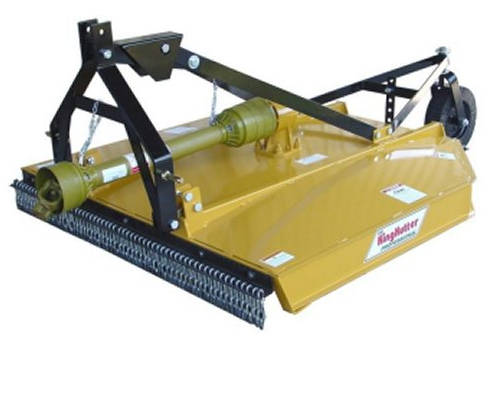 King Kutters Professional Flex Hitch Rotary kutters demonstrate the latest in rotary kutter innovation and it’s only available from King Kutter Inc. 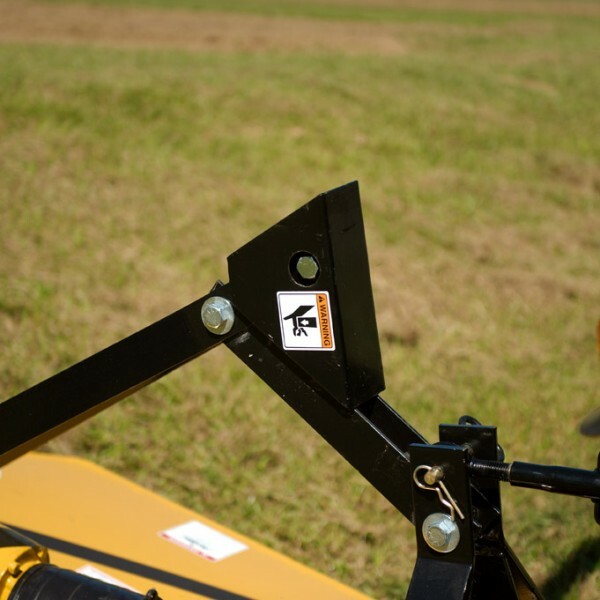 The Cat. 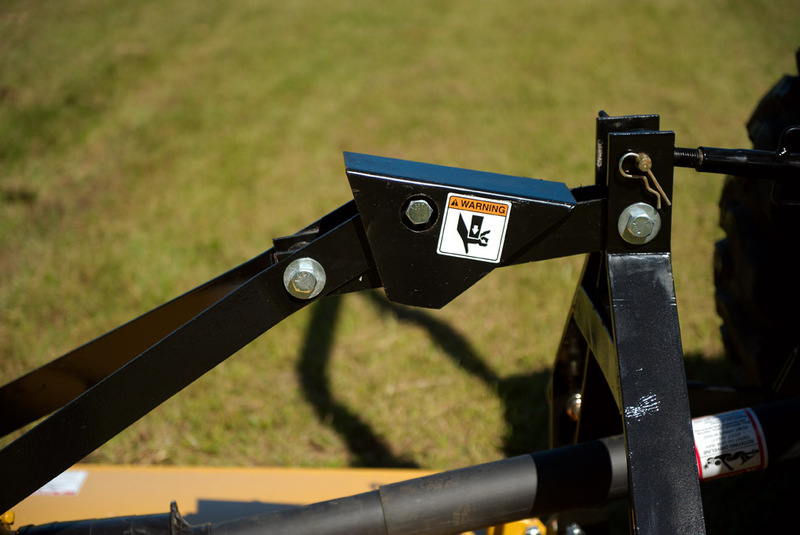 1 quick hitchable, flex hitch design, is unlike anything on the market today. 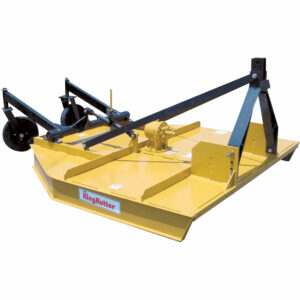 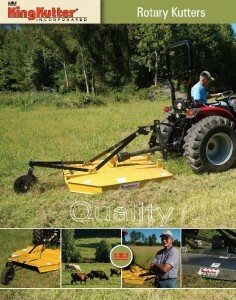 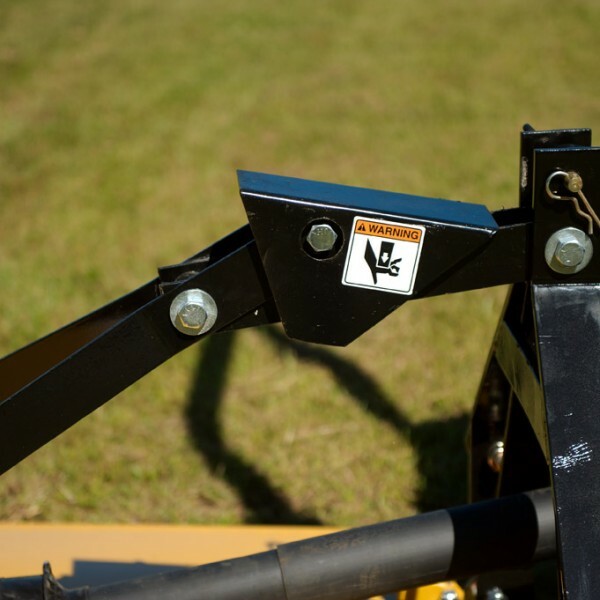 The unique hitch allows it to roll 15 degrees up or down, on the right or left side of the machine. 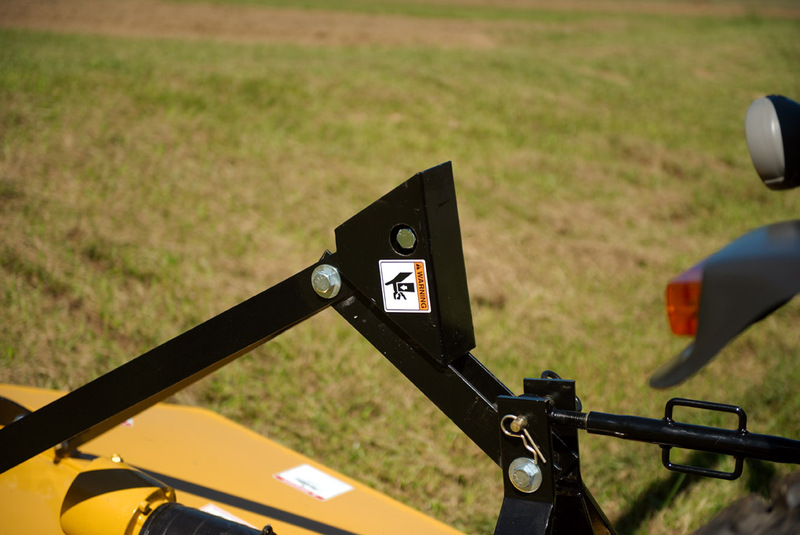 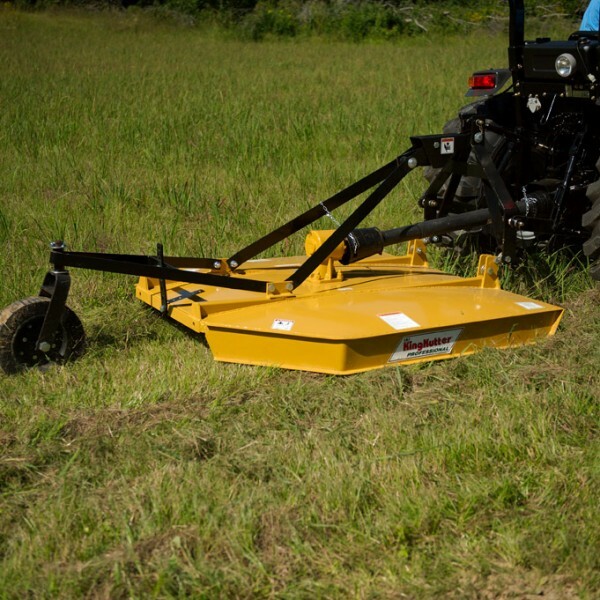 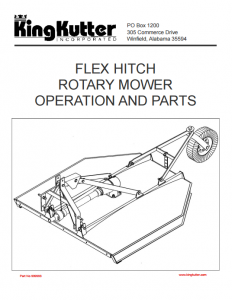 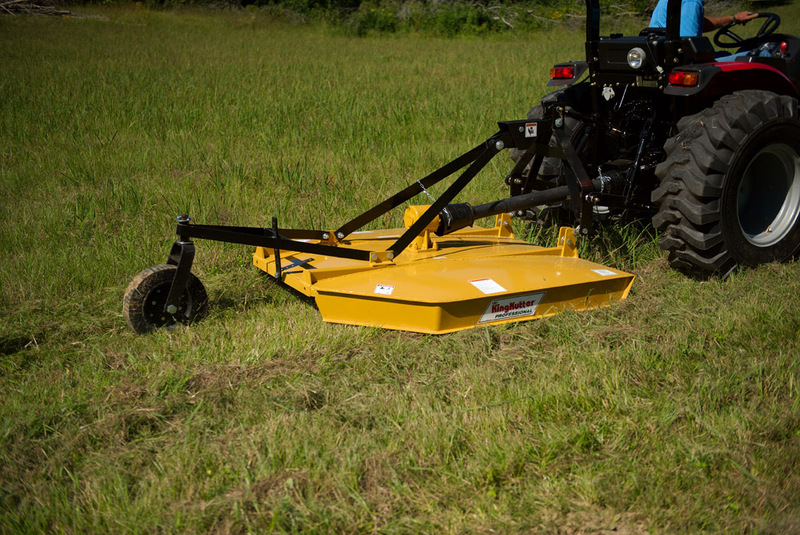 This feature allows the Flex Hitch Rotary Kutter to follow the contours of your field like no Rotary Kutter before. 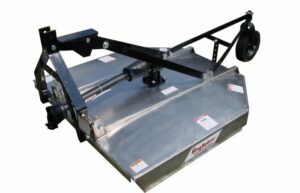 The domed deck design sheds water and debris to prevent material from collecting on the deck, virtually preventing the deck from rusting.